The occasion was the 2011 Grammy Awards telecast, and “the one” was none other than Bob Dylan. Avett, his brother Scott and the other members of the Avett Brothers’ band backed the Bard on a raucous version of “Maggie’s Farm,” joined by the indie group Mumford and Sons. The Avett Brothers are currently the darlings of the indie Americana world. Brothers Scott and Seth are not only exemplary songwriters, each has a distinctive, plaintive voice that brings to mind Levon Helm and Richard Manuel, respectively, from The Band’s glory days. They make every lyric sound hard–won and real. When they sing harmony, however, that’s when the goosebumps start. “When we sing together, there’s something about being kin, about being siblings, it does some of the work for you,” Avett says. “The personality of the voices, the character of the voices is there without ever having to worry about it. As long as you can sing with your natural voice, and try to get rid of any kind of pretense of what a singer sounds like, that’s gonna happen. “I believe that is the goal for any singer. Like, as soon as the singer starts trying to sound like a singer, it’s horrendous. And we all know some very popular singers that are very in love with their own voices, and come across a little bit saccharine for that reason.” Avett also fesses up to having a soft spot for early Sam Cooke and the Soul Stirrers recordings. Born and raised in Concord, N.C., the brothers were onstage early, in high energy rock ‘n’ roll bands. Inspired by their heroes Jerry Cantrell and Layne Stanley of Alice in Chains, they realized their capacity for close harmony. The emotional texture of acoustic music was a late discovery. “Some of that was just a basic surrendering to what felt natural. Where it got cranking, inspiration–wise, was when I was about 14 and I got to go, through mutual friends, and meet Doc Watson. And go to his house and hang out a little bit. He’s a king in the world of American roots music. Avett calls what the band does now “a mixture of a lot of things that we love. There is a rock element, and there will always be a rock element. We’re not gonna be just a little folk duo. We like doing that, and then we also like getting loud, getting heavy, whatever. The Avett Brothers band includes the siblings’ longtime compadre, bassist Bob Crawford, and cellist Joe Kwon. They’re well into the recording of their second album with producer Rick Rubin, the follow–up to 2009’s major–label debut I And Love and You. Released on Rubin’s label American Recordings, a Sony subsidiary, the album got glowing – even reverent – reviews. It reached No. 16 on the Billboard chart. 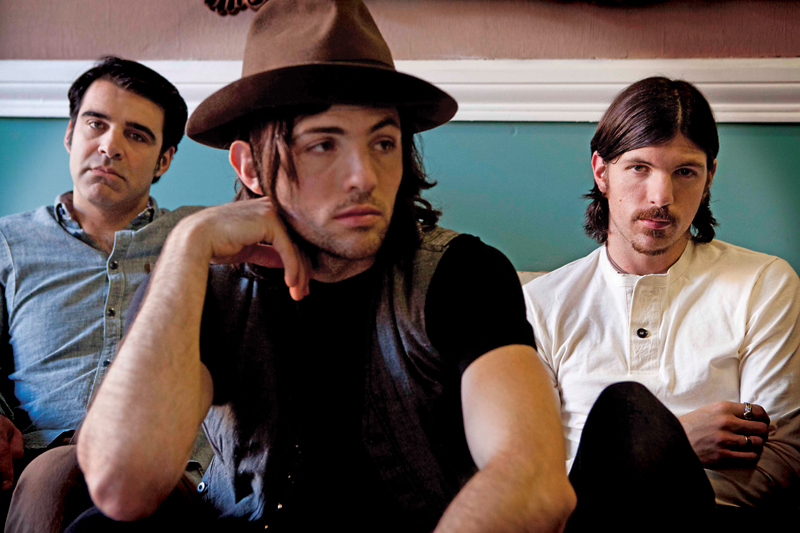 Success, Avett says, hasn’t changed them – what it’s done is necessitated a logistical shift. There are more people around now, helping get music heard, helping to get the band from one place to another, helping to arrange things like the Grammy telecast with Dylan. The only thing Avett regrets is that the brothers now have less interaction with their fans. That’s generally one of the first casualties of a successful flush. But never suggest that Scott and Seth have become mere pawns in a music–business corporate game. “We incorporated right at the beginning, so we got our minds set in the business side of things early on,” Avett explains. “Which was a very healthy step for us. “See, our father ran a welding crew for 35 years, and he owned his own business. So we grew up watching the blue–collar work ethic, and the blue–collar understanding of a small business. Doing the payroll, doing things legitimate–wise. “We had seen a quality example of that, so it just made sense to us to run our band and our travels like a construction company. That’s how we patterned our business for the first seven years.